The MC25100V1-CEL axial fan has many applications. 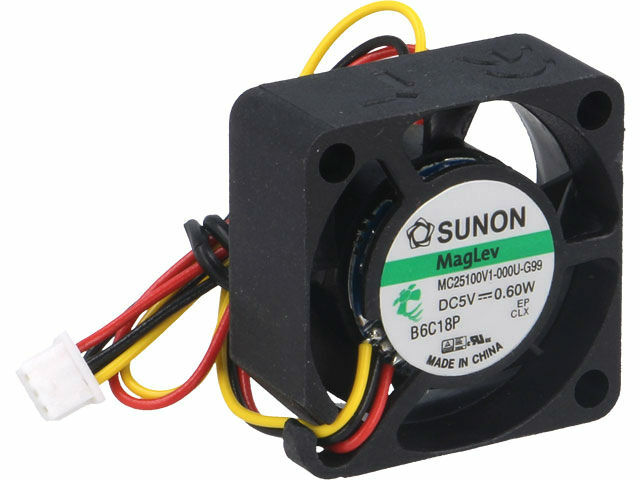 It operates quietly, it is small and lightweight, it has low power consumption and high rotational speed. The package and rotor are made of thermoplastic materials, ensuring operation in temperatures ranging from -10°C to 70°C. The fan has three wires, MOLEX MX-50079-8000 contacts and a MOLEX MX-51021-0300 plug. It has a type F signal output and an Auto Restart function.